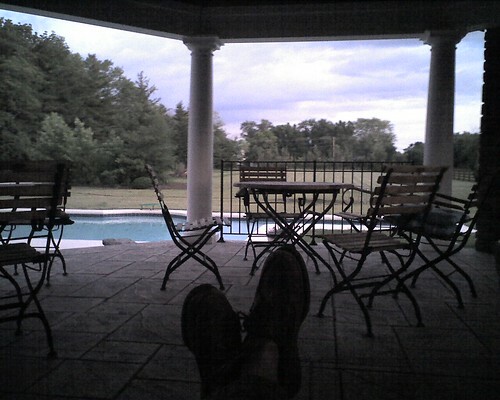 Too lazy to post from in the house tonight as the cool quiet evening out on the backporch is far more desirable. I did get a second primer coat of paint o new repair, but that was about the extent of the evening. It has been an exceeding nice couple of days temperature wise for the end of June in Cincinnati. EDIT: Didn’t post from cellphone?